Local Hobby shop with Model Trains, Plastic Model kits, and Model Rockets. Also Repairs all types of Model Trains. One of a Kind Furniture and Accessories in unique finishes, colors and styles. A retail store where furniture is re-invented with an artistic personality & flair! All this at reasonable, affordable, prices. Open Tues. thru Saturday. Closed Sun.& Mon. Credit Cards & Checks accepted. Outdoor power equipment sales, service and parts. Mowers, trimmers, chainsaws, pressure washers & more. Outdoor power equipment sales, service and parts. Mowers, trimmers, chainsaws, pressure washers and more. Largest size range of bras between Chicago and New York. Free custom fitting of your bra or girdle (shaper) with your purchase. 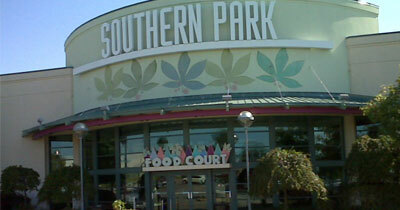 Open six days per week, across from Southern Park Mall. Locally owned for sixty years by the same family. 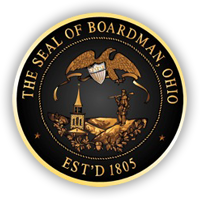 Our Company supports the women of Boardman!! We need your business to stay here. We are a family owned and operated speciality bird shop. We carry thousands of quality foodservice products. Customers will find a large selection of produce and dairy, grocery and frozen, fresh meats, paper and janitorial products in a variety of pack sizes. We offer fundraising programs, express order service, and menu planning. There is no membership fee and we are open to the public. Hours: Monday through Saturday 7 a.m. to 8 p.m. and Sunday noon to 5 p.m.
Phantom Fireworks is America's premier consumer fireworks. Founded over 30 years ago, Phantom Fireworks is growing faster than ever with over 1,200 locations throughout the country and continued expansion at its corporate office in Youngstown, Ohio. The company also supplies 4th of July products to several national retail chains. Plato's Closet buys and sells name brand clothing, shoes and accessories for teens and young adults. R & S Paint has been an authorized Benjamin Moore Paint Retailer since 1991 and a Signature Store since 2005. We offer premium paint products such as Benjamin Moore Paints, Old Masters Stains, Modern Masters Metallics, Sikkens Deck and Siding Stains and Wooster Brushes. In March of 2013 we introduced the Benjamin Moore Gennex Colorant system. We are conveniently located within minutes of Struthers, Poland Boardman, Canfield, Austintown, and Youngstown. We are a home furnishings and furniture consignment store, located in Boardman. We specialize in unique new and used furniture and home decor at great prices! Located next to the Boardman Spartans football stadium and the Southern Park Mall, on Stadium Drive, we are easy to find and close to home! Our inventory is always changing, so be sure to stop by often for great buys. We are open Tues-Friday 10-6 and Sat 11-4. We accept all major credit cards, Paypal, cash and check. For over 70 years, Rusco has specialized in the design and installation of distinctive residential spaces. Through its Design Center, located at Route 224 and Tiffany Boulevard, Rusco showcases an extensive selection of cabinetry, counter top, lighting and plumbing solutions for the entire home. Second Sole is a running specialty store that started in Boardman in 1981. We offer a wide variety of athletic footwear, apparel, and the highest level of customer service. We offer a customized fitting process to make sure you get all of the support and cushion you need for any activity. Team sales also available. The Shirt Wizard in Youngstown and Boardman, Ohio, is here to help you communicate your message to the world. We specialize in custom printed T-shirts. You are unique. Your clothes should express your uniqueness. Thanks to our special printing system, we are able to reproduce your personal images on high-quality T-shirts. Send us your photos and text, and we will create a custom T-shirt just for you. Order as many as you like. Advertise Yourself Not Someone Else Why pay high prices in department stores for "trendy" T-shirts that promote someone else's ideas or brands. Don't be a walking billboard for them. Communicate your own message. Your custom T-shirt is limited only by your own creativity. However, it is important that you own the copyright to the image you send to us. We cannot print licensed logos or images that are owned by someone else. Indoor Amish Market Ron and Marianne Cohen brought this concept to Ohio's local Amish Community based on the Market Ron's family has operated for three generations. Established in 2013 this indoor shopping experience is where Amish quality and goodness come together for the enjoyment of the Mahoning Valley and visitors to the area. The shops include fresh farm produce, hot foods, home furnishings and decor, baked goods, fresh juices, and places to sit and enjoy wholesome meals prepared by Amish cooks. A shopping experience like no other. Come and see-we'll look forward to your visit.